The Chaplaincy in Bishop Justus seeks to make Christ present in our school through worship, pastoral care and our wider connections with church and community. Playing a key role in the life of the school, the Chaplainc y is led by our Chaplain Reverend Carol Morrison and Mr Kings, Director of Chaplaincy and Community. They support the spiritual welfare of students and staff and prepare daily worship for the whole school community. The chapel is on the first floor and is available for quiet contemplation and prayer for all students and staff. School worship provides the focus for the school community’s Christian beliefs and virtues. At Bishop Justus we have worship for 20 minutes every morning. Worship is inclusive, structured and vibrant. It enhances the spiritual, moral, emotional, intellectual and social life of the school. Our students are actively encouraged to lead and plan worship. 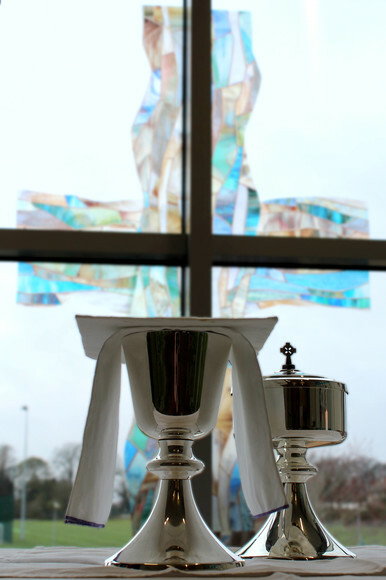 The Eucharist, or Communion, is a central act of worship in the Church of England and is celebrated in school regularly for each year group and school house. Working within the wider team of pastoral care established at Bishop Justus, students can meet with our Chaplain to discuss such issues as bereavement, spiritual concerns and faith questions, as well as other concerns or worries. The Chaplain also supports the pastoral needs of staff within the school. At Bishop Justus we have a Faith in Action program, which focuses on different charities in the year. Through our worship program we raise funds and awareness for our nominated charities. Many other Faith in Action projects are led by students and staff and these are encouraged within the school ethos. As a Christian community we are connected with our local churches. Clergy and youth workers from our local churches are invited to school to lead worship. 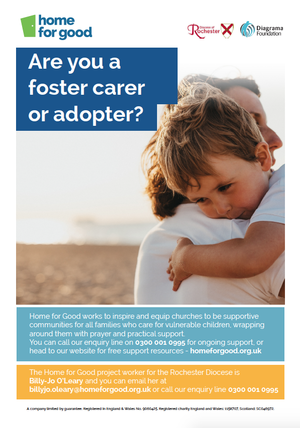 Our Diocese of Rochester is very supportive of ‘Home for Good’ and its excellent work in supporting the need for high quality fostering and adoption. 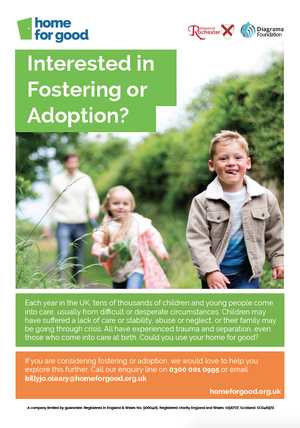 Please see details below as to how you can find out more about this important role within our community.